When I started Worthy News, I founded it on this word in Luke's gospel:– “Watch ye therefore, and pray always, that ye may be accounted worthy to escape all these things that shall come to pass, and to stand before the Son of man.” – Luke 21:36 Foundational to our ministry is the call to watch and pray, especially concerning world developments. Mordecai's words to his niece, Esther, at this most critical moment in Israel's history, have become a timeless call to God's people to awaken and to be alert to the times and seasons in which we live. This weekend is one of those particular times to be “watching”! While the world anxiously awaits the outcome of the crisis in Ukraine this weekend, many may not be aware that the events taking place are falling on a particular holiday that has been significant in ancient as well as modern history. You see, this weekend, the festival of Purim will begin on Saturday evening and continue for two days, ending on Monday at sundown. This yearly celebration marks the deliverance of the Jews in Persia from the hands of Haman, a vicious prime minister, who plotted the extermination of every Jew in the empire. The plot was foiled by God's providential hand and the courage of a lovely young Jewish woman who took her life in her hands for the sake of her people. Modern history has also marked this festival several times in the past 25 years. The First Gulf war in the 1990's ended on the festival of Purim; and again, 12 years later, the Second Gulf war began on the same Jewish holiday. 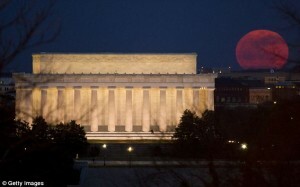 In 2011, the war with Libya started on Purim as well, and, as a side note, there was a blood red moon over Washington D.C. the night hostilities began. Over the past week, both NATO forces and Russia have built up their military presence in the Ukraine. And this weekend, Russia is conducting a referendum in Crimea to determine whether the province will come under Russian sovereignty. The West is claiming that the referendum is invalid because Crimea is part of Ukraine. With such powerful military forces potentially arrayed against each other at this very season, an anniversary of terrible crisis, we are calling for watchfulness and vigilant prayer. It was Esther's call to every Jew to fast and pray for deliverance. Our prayers for a non-violent resolution to this dangerous situation on this portentous anniversary could help to avert another modern disaster. Please join with us to watch and pray during this weekend festival – the crisis is real, and as the Lord's royal priesthood we have a mandate to stand with and for His purposes at "such a time as this”! Est 4:14 For if you are completely silent at this time, relief and deliverance shall arise to the Jews from another place, but you and your father's house shall be destroyed. And who knows whether you have come to the kingdom for a time like this?